We get it - tasting wine can be intimidating - some people really know their way around a bottle and it’s easy to feel like a fish out of water when surrounded by holier-than-thou aficionados discussing the benefits of the 1782 vintage and asking you what you thought of its slow legs. But once you strip back the jargon and put down the pretence, there really is no right or wrong way to taste wine - it all comes down to whether you like what you’re drinking, or not. But if you do want to sharpen your wine-tasting skills and develop an understanding of what you’re looking for at each step - let us open the kimono and help you suss out the wine in your glass and what else from the wine world you’ll like. Tasting wine is like listening to music: lots to absorb and everyone has their own unique taste. If you’re tasting at a restaurant, then they should take care of this first step for you - but if you’re at home, it’s important that your glass is decent (a chipped, three glass set from Oxfam for 54p need not apply). Firstly, make sure it’s completely clear - now’s not the time for the hand-painted starry night scene you got in Secret Santa - you’ll thank us later! Secondly, it’s a good idea to get fairly big glasses so you’ve got room to swirl without spillages. And always go for a glass with a stem - this is so you don’t warm the wine with your hands. If you’re tasting red, go for taller glasses with a wider mouth and bowl - to accentuate the flavours and smells. For white, you need less air to get in, so the best glasses tend to be narrower with smaller mouths. Firstly, look at that beautiful glass of the good stuff and get a sense of the colour (see, we told you clear glasses were best! ), as this can tell you alot straight away about what you’re drinking, before you’ve even smelt it. Try holding it against a white background to make sure the colour is true. The colour of every wine comes from the length of time the wine was in contact with the grape skins - the longer the contact time, the more time the skin has to yield its own characteristics into the liquid - if you skinned the grapes and then juiced them straight away, the wine you make would be completely colourless! In general terms - the lighter the colour, the lighter and tart-er the wine. Darker colours come from aging in oak barrels which tends to mellow out the taste. White wines go from crisp and fresh to smoother and fuller the darker they are. Reds behave similarly, pinks to light red go from bright and tart to bold and rich as they encroach up the colour spectrum. Before you taste, you need to ‘agitate’ and open up the wine, which essentially means to get more oxygen into it. However you feel comfortable, swirl the wine round the glass, either by planting the glass on the table with your fingers and making circular movements with your glass or pick it up and use your wrist to draw circles in the air - either way works (but if you’re trying to avoid getting red wine down your white sweater - then a safe table-planted swirl is probably best for your first time!). But only swirl for a couple of a seconds. 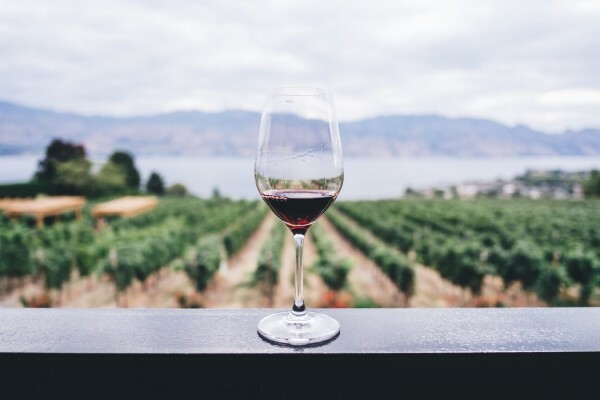 Getting oxygen into the wine allows it to begin to oxidise, softening and allowing its aromas to flourish - this is why some red wines should be left to ‘sit’ once opened before imbibing. You want to avoid the wine oxidising fully though (say, leaving it overnight) which will result in an unpleasant, bitter taste - that’s what ‘corked’ means, when the wine’s cork has allows oxygen into the wine before it was opened. You’ve probably heard that smell is 80% of taste - it helps prepare your mouth for what it’s about to receive. Get your nose as much in that glass as you can and breathe in deeply. It’s important to remember that there are no wrong answers - tasting is subjective, your brain can only pick up scents that are in your memory and have been smelt by you before, and no two people process smell the same way. Try to think big to small, looking for particular notes or being too specific tends to lead to frustration. Start with the broad categories - citrus, tropical fruits, red berries or black fruits before trying to delve into more exact notes. But even if you only smell grapes, that’s totally fine. Take a sip from your glass, let the wine linger in your mouth, really get to know it, think about it and see what it’s doing - is it coating your mouth? Is it making your mouth tingle? Is it sweet? Is it bitter? Is it acidic? This is also where you can discover the length - this is how long the wine is with you and there tends to be a beginning, middle and an end to every wine. How long is the wine with you for after you swallow? This is known as the finish. And there you have it! You’re well on your way to being a poor man’s sommelier and will be granted a seat at the prestigious wine tasters table. And here’s my parting wisdom... avoid tiring your palette out (yes this is a thing!) by tasting your wines in order from lighter to full-bodied and remember to cleanse your palate in between with water. Some people may tell you to spit the wine out in between tastings - and I probably should too - but that’s no fun right?! Go forth and consume.